But if you suffer from dust mite allergies, it pays to know a little bit about dust mites and how to prevent them from setting off allergy or asthma symptoms. The answer to that question is, not really. Dust mites thrive on human existence, and with more than 7 billion people in the world and lots of dust and human skin cells floating around, the entire earth is pretty much a banquet for dust mites. Dust mites actually exist by the millions on your pillow alone, chomping up tiny bits of human skin shed from your body. But that’s where the problems begin, because their dust mite feces contain enzymes that contribute mightily to allergic reactions when breathed in, especially among children and the elderly. About 10% of the American population exhibits dust mite allergies, which in combination with spring allergies can make a person really miserable. With dust mites living just about everywhere, what can you do to deal with them? You can attack dust mites head on using Handheld Sanitizers like the CleanWave UV-C sanitizing wand. 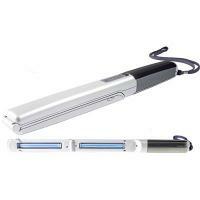 The handheld UV light wand kills bed bugs and knocks dust mites dead. You’ll also like the fact that it knocks out 99.9% of bacteria and mold, and is easy to use everywhere. Some people even take it on the road to hotel rooms to kill all the dust mites that hang out there, as well as for killing germs on the remote. Dust mites live a strange, little life cycle, hanging out in your bedding, pillows and even your mattress. So you’ve got to go with hypoallergenic bedding products that have a dense enough weave to seal off dust mites. It pays to wash your sheets in hot water to help kill off dust mites. Washing also removes any potential dust mite residues. Don’t worry, dust-mite free bedding is not some clinically sterile product that you’ll hate to use. Consider the Yala Bamboo Dreams Bamboo Duvet Covers. These covers and the matching Yala Bamboo Dreams Sheets are fairly priced, yet so luxuriously soft you’ll be ecstatic that you switched. Best of all, these sheets are environmentally friendly, being woven from the extremely common bamboo plant that is regenerated quickly. The fabric is soft and naturally draws off moisture so you’ll sleep in relaxation and peace. After you’ve converted your bedding and covers to dust mite free status, why take for granted the air you breathe. Air purifiers can filter the air you breathe to 99.97% purity, eliminating dust mite detritus and airborne allergens. 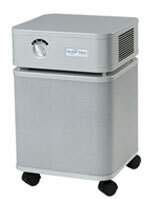 There are many great models of air purifiers for all room sizes and in all price ranges. Taking these steps can answer your concerns about dust mites and how to combat the allergies they produce for many people. If someone you know is experiencing allergy symptoms that do not seem related to pollen, or get worse when the person is indoors, house dust mites are to blame. You can enact all these strategies that are good for anyone in the home whether there are allergies about or not. But the idea of killing off dust mites and clearing your bedding and the air is somehow appealing in its own right. Have at it and live healthier!